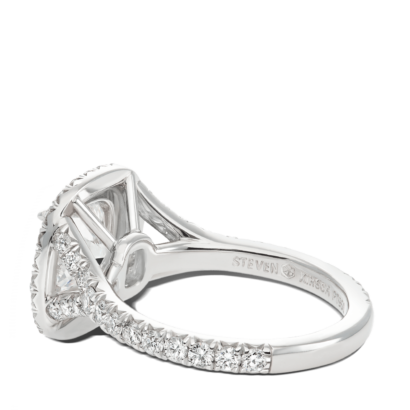 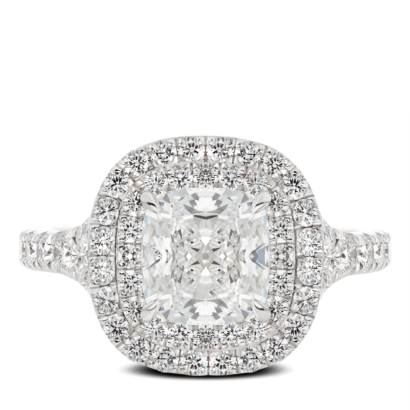 Cushion brilliant diamond framed by two rows of micropave diamonds, set on a split shank micropave band. 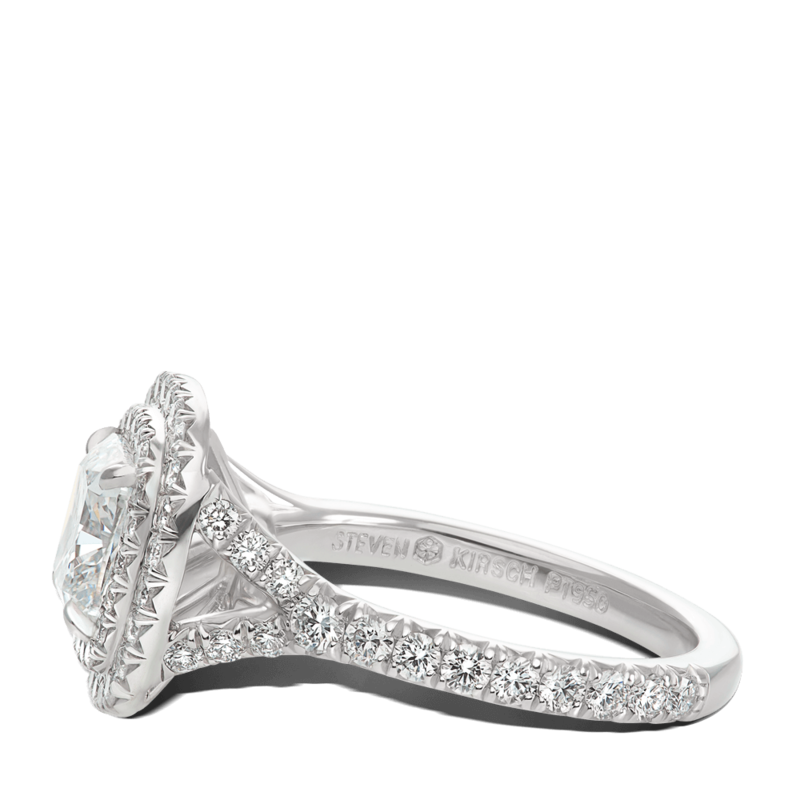 This fun, feminine design, is meticulously hand-crafted, to highlight the center stone’s elegant beauty. Designed for a 1.5ct or approx 7.5 mm cushion center stone. Can be made for any size center stone.